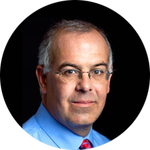 In a wonderful opinion piece in the New York Times this week, David Brooks writes on the roots, present deficiencies, and future of universities. Specifically he notes that universities are not just job training. Mark Cuban made this same point (on which I wrote about here) – an education that is strictly a return-on-investment job training program isn’t as important/valuable as universities are charging for. It is ultimately incomplete training. About a decade ago Denver Seminary began requiring students go through Training & Mentoring – realizing that knowledge apart from character development was useless at best and harmful at worst. Wisdom has been defined as “Knowledge rightly applied”.